On July 21st in downtown Mt. Shasta, we’ll be celebrating the launch of Mt. Shasta as an official Pacific Crest Trail Town! 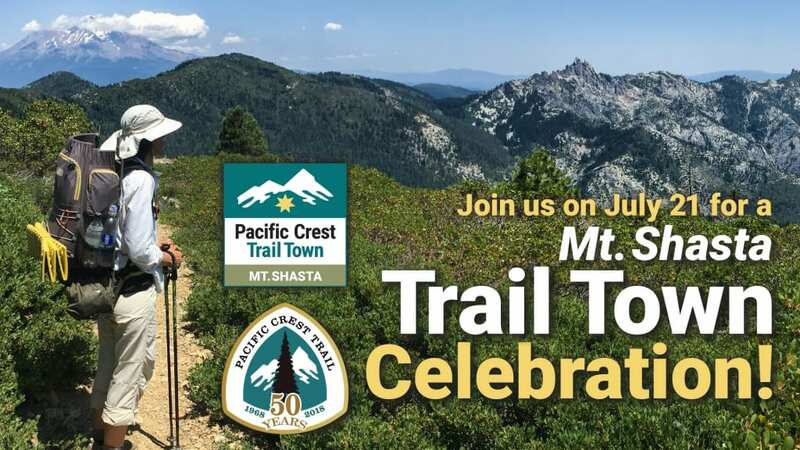 Experience the Pacific Crest Trail! Meet across from The Tree House Hotel on Morgan Way at 8 a.m. to carpool to a nearby trailhead for a short, easy hike along the PCT. 12 Noon to 9 p.m.